In the year 3421, human, novus, and alien races coexist through political strife perpetuated by daily United Planetary Congress interactions, the foundation of political theater. An encrypted code, capable of crippling a newly developed artificial earth planet, is stolen from an atmospheric control outpost orbiting Atlas. 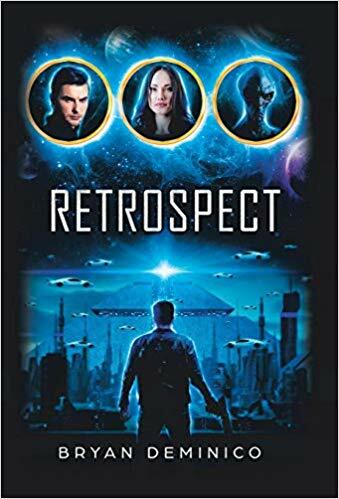 Agent Jonah, Galactic Interpol Society top-priority agent, must immerse himself within the violent shadows surrounding his new mission as he enters the Revised Washington District. A novus crime lord leading a reputable novus terrorist organization lends aid to a powerful political figure pulling the strings. To further complicate Jonah’s investigation, a rogue galactic agent bites at his heels every step of the way. Follow Agent Jonah through vivid action sequences and futuristic locales to find out if he can overcome all obstacles and save Atlas from an evil politician’s plot for power dominance in the galaxy. Army combat veteran Bryan DeMinico gives readers a Sci-Fi world full of hi-tech spy activities, sleek technologies, socio-political interactions spanning across two earth planets, mix in a new humanoid race, colonized space worlds, and add a dash of discovered aliens on Planet Amephirous.